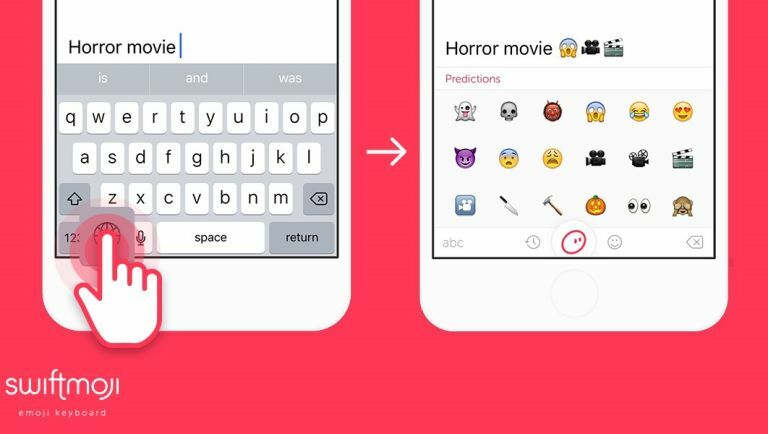 Who needs predictive text when you can have Swiftkey's predictive emojis? Swiftkey has just launched a new spinoff of its popular keyboard tool - and it's one that will warm the in-vogue hearts of hipsters everywhere. Much like its word-based progenator, Swiftmoji is all about predicting your favourite emojis using key word association. Now whatever your mood or need, there's a cute, mini cartoon to accompany your words. With over 1,800 emoji to choose from (and more being added every week for special events and topical themes), keeping track of them all can be a little daunting. Swiftmoji collects every one of these graphics into one location and uses a familiar character and context recognition system to predict which emoji you're really looking for. Swiftkey says it's updating Swiftmoji all the time, with the Microsoft-owned firm recently performing a mid-year review to round up the most used and popular emoji of 2016 so far (apparently the pig face and pig nose were very popular - we can't fathom why...). Interestingly, Swiftmoji on iOS is an emoji keyboard, whereas Swiftmoji on Android is a full keyboard replacement. Swiftmoji is available now on the App Store and on Google Play.